Have sewer line problems been making you feel down? We can offer you Anaheim Hills sewer line repair that’s a cut above the rest. Our sewer pipe repair in Anaheim Hills doesn’t leave anything to be desired. Our plumbers can assist you with sewer line replacement in Anaheim Hills California as well. Call 949-462-9773 to schedule an appointment for fine Anaheim Hills sewer line cleaning by Scott English Plumbing. You can stop by our office for more information about Anaheim Hills sewer replacement, too. Our office address is 1287 N. Jefferson Street, Anaheim, CA 92807. If you need sewer pipe repair in Anaheim Hills, it may help to be on the lookout for any and all possible signs of a problem. Take the time to ask yourself several important and pressing questions. Are your water bills all of a sudden higher than ever? Is your backyard full of strange moist sections? Do you have numerous shower, toilet and sink clogs? Does your residence smell horrid? Are you starting to notice mice and insects practically everywhere? Ask yourself all of these pertinent questions. Take note of other possible clues as well. These include mold emergence, foundation cracking, water level issues, drains that are oddly slow and persistent running water noises. If you need sewer line replacement, we can help you right here, too. We routinely replace sewer lines that are older and that have been giving people issues. People who want to do away with any and all concerns that involve sewer lines can turn to us any time they wish. Our company doesn’t like the idea of charging our valuable customers exorbitant rates. That’s why we never do so. If you’re trying to secure sewer service in Anaheim that offers amazing value, you can put all of your confidence in our staff. Our Anaheim Hills sewer line cleaning is wonderfully economical. It can help you recognize possible problems that may be coming up. It can help you save a good amount of money in the process as well. 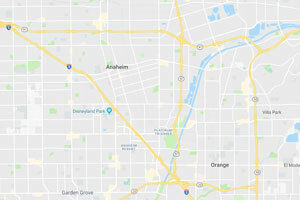 If you want to invest in sewer line replacement in Anaheim Hills California that’s nothing if not budget-friendly, you can put all of your attention on us. If you want to eliminate all kinds of sewer line concerns, Scott English Plumbing is on hand to come to your aid. Call our patient, hard-working and sedulous staff members as soon as you can to learn more about our service options. Schedule an appointment with our team right now.